FinTech, a combination of financial services and technology, has been rapidly evolving in the last decade, sometimes completely reinventing the financial services landscape and the way people spend, invest and lend money. With more than 50% of global adult population using the internet to pay bills or buy something online, FinTech is not an emerging market anymore, but an established industry with huge potential yet to be unlocked. With this report we provide a comprehensive overview of the state of the FinTech market as it is today as well as a prognosis with detailed information on 12 different market segments in the areas of Digital Payments, Alternative Financing, Alternative Lending and Personal Finance. Besides all relevant market figures like total and average transaction values, and user numbers for the years from 2018 to 2023, we furthermore give detailed insights into current trends, key players and important background information of the FinTech market. In comparison to the prior FinTech Outlook Report we have also added new content. We now show user demographics, selected key market drivers as well as new company profiles and deep dive topics. Furthermore, besides our known focus regions U.S., China and Europe, we now also provide detailed figures on the top 5 EU countries to enable more insights into the market. Regional development with the focus regions & countries: U.S., Europe and China, and EU top 5 countries: the United Kingdom, Germany, France, Spain and Italy. 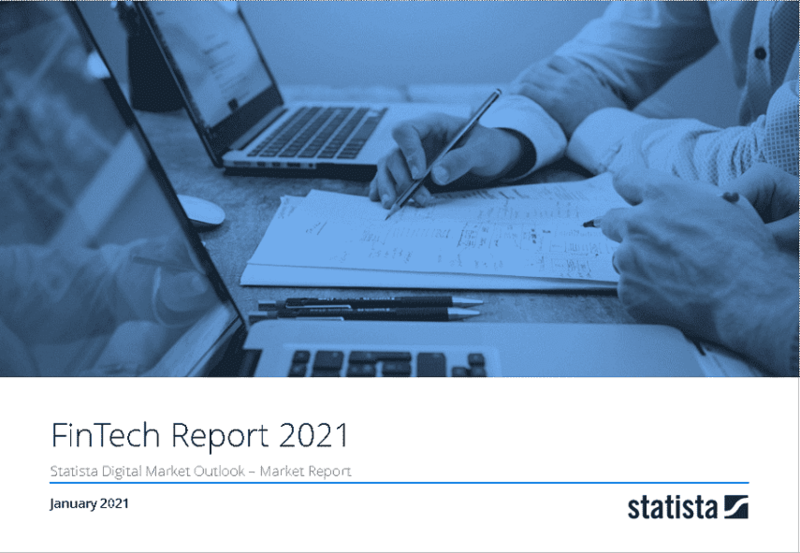 In the Statista Digital Market Outlook Reports our analysts compile an overview of the segment and trends, market sizes, regional development, and key players. An overview of all Outlook Reports can be found here. In this report, we consider the rapidly evolving FinTech market. We have identified four major segments where innovative digital products and services challenge established players in the financial services field. FinTech, a combination of financial services and technology, is highly important for Digital Payments, whether that be Digital Commerce (mainly online shopping transactions) or Mobile POS Payments (offline shopping, using digital payment technology). Other segments include Alternative Financing, which involves all kinds of crowd financing for small businesses or creative/innovative projects, Alternative Lending, such as P2P Marketplace Lending and Crowdlending for business purposes as well as Personal Finance, which includes automated private asset allocation in the form of Robo-Advisors, as well as P2P Money Transfers.